The most familiar site on this trip continues to be the rain. 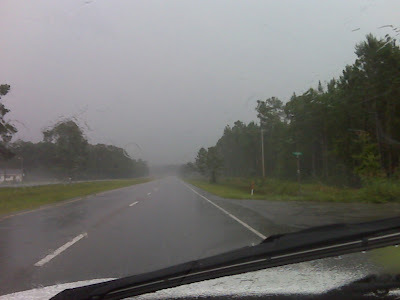 I bet it rained 80% of the time I was on the road from Charleston to Myrtle Beach today. 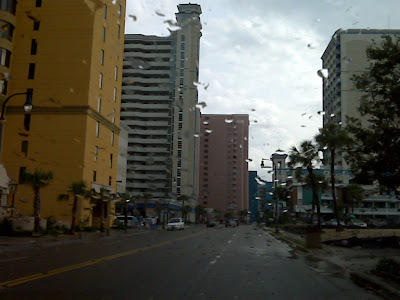 I drove south into Myrtle Beach a bit but turned back to North Myrtle Beach. It was just too touristy for my taste. And, the rain was sticking around. 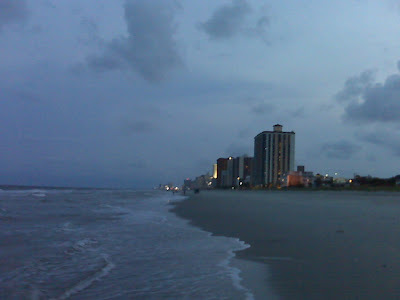 It finally stopped and I was able to grab some supper and then park at one of the many beach access lots in North Myrtle Beach. The sky looked nasty but the rain stayed away. It was windy but the water is very warm. I walked for over an hour and it was hard to go back to the car and head back inland to the hotel. 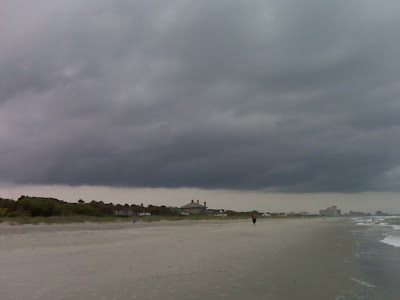 This is looking toward the south to Myrtle Beach. 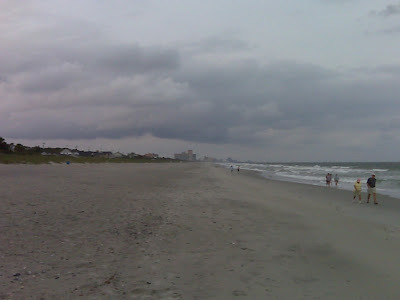 Tomorrow I drive to Wilmington, NC and will work the full day there. They are having some network problems beyond what I have been working on at the other sites so tomorrow could be quite the challenge. A wake up call for Generation X?